Training to muscular failure is an important tool, but one that must be done right. Here's how to make it work! 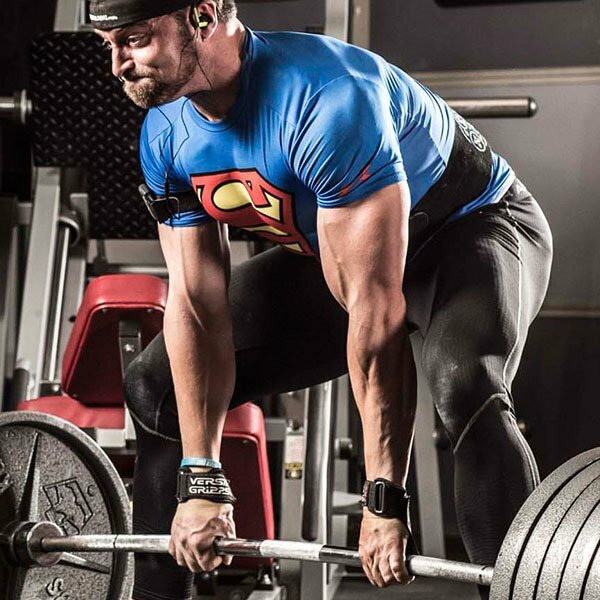 Training to failure is one of the most popular techniques in bodybuilding and strength sports. In fact, go into a weight room any day of the week, and you'll find quite a few people who believe that every program—and maybe even every set—is worthless if it doesn't take you to failure or beyond. There are plenty of routines based simply around training to failure. Of course, I get the appeal; it's about taking strength training, an activity that's already intense, and pushing it as hard as you possibly can. The real question: When you repeatedly reach the limits of your strength and endurance, does it help you or put you behind the eight ball? If you're planning on being in the strength game for awhile&mdash, this is something you need to know. So let's break down what training to failure is, what the benefits and downsides are, and how you can integrate it into your training to get the maximum benefit. Training to failure is typically defined as lifting a weight for a number of repetitions until you can no longer complete another repetition with good form during the concentric, or lifting, phase. If you can only struggle through a sloppy rep or two, that's not failure—that's simply picking too heavy of a weight. I'm thinking more of a 12- to 15-rep set where the last few reps are real grinds, and the final one stops right in the middle. Of course, once you've reached that point, you can go even further, using intensity techniques such as forced reps, dropsets, and forced eccentrics. Some people say training to failure is never a good idea. I'm not one of them. There are studies showing that if you perform a rep-based set with a certain weight, or take the same weight to failure, it appears that taking it to failure leads to higher strength and hypertrophy gains, at least in the short term. Training failure can boost your results, but it also takes a lot out of your performance. If you do it, do it right! How does this happen? Fast-twitch fibers are the biggest and have the most potential for muscle growth. However, they're also the hardest to get to, because your body recruits muscle fibers in order from smallest to largest. When you start moving a certain amount of weight, the body is going to recruit the minimum number of muscle fibers it needs to do that weight, because it's more efficient and demands less energy. If you lift a heavy weight that you can only do for, say, 3-4 reps, obviously on the first rep you're going to be recruiting quite a bit of fast-twitch fibers as well. But if you're doing a light weight for, say, 15 reps, your body is going to recruit more and more muscle fibers as you get closer to failure. By training to failure, you're ensuring that you recruit the maximum amount of muscle fibers. While you're recruiting those muscle fibers, you also create more metabolic stress, which has also been shown to have a beneficial effect on muscle growth. And, of course, you get to see a true test of your strength in that repetition range or with that weight. If you fail at 10 reps, you know what your 10-rep max is on that lift. Add that all up, and it makes a pretty strong case for training to failure. But there's another side to the story. Research shows that if you train to failure too frequently, it can have detrimental effects on your performance. Why is no mystery to anyone who ever pushed it too hard too early in a workout. Failure takes a lot out of you! Redline it from the start, and you'll have to cut back somewhere else—and that somewhere is volume. They're all important, but the biggest factor associated with hypertrophy and strength is the last one: volume. Of course, some people take that too far in one direction. I don't believe you can just lift a light weight for a ton of reps and get the same benefits as using over 60 percent of your one-rep max. But after you get above 50-60 percent of your one-rep max, volume is most closely associated with muscle growth and strength. Limit your failure training to specific times and places, but when you do it, keep pushing until there's nothing left. Look at any given training day on my PH3 13-week Power and Hypertrophy Trainer, and you'll notice a pattern: Low-rep heavy lifting first, then volume, then high-rep burnouts—often using bloodflow restriction—at the end. If you were to go to failure on the first movement or two, you simply couldn't recover well enough to rack up the volume on everything else to have consistently productive training sessions. I'd wager there are plenty of people out there who didn't realize that leaving a few reps in the tank is even an option. But it is—and you should do it more often than not. I recently worked on a review paper for the Journal of Strength and Conditioning with a few other authors, and we extensively discussed how to include failure in a program. This was the consensus we reached: Only train to failure for about six weeks before taking 1-2 weeks off from training to failure. That may sound conservative, but I take it seriously, and so should you. Why? Because at about the six-week point, your performance begins to suffer, and it appears that the accumulation of fatigue needs time to dissipate before you add it back in. Save it for the end of a workout where you've gotten your volume in and you've had good technique on your different exercises. That way, you're not negatively affecting your performance in the rest of the workout. Don't fail in the same way every workout. 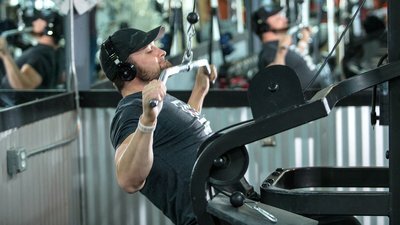 Train to failure a maximum of once a week per exercise, then use some kind of intensity technique like rest-pause, forced reps, or forced eccentrics to push yourself past failure once a week. Don't rush into failure. Beginning lifters need volume more than they need failure, and even intermediate lifters are often guilty of failing too often. Get your quality workout in, and then, once you've done that, leave it all on the table. My hope is that you learn this lesson now, before you learn it the hard way—like many of us have. If you have any questions about failure training, hit me up in the comments or on social media, and I'll do my best to answer it. Rooney, K. J., Herbert, R. D., & Balnave, R. J. (1994). Fatigue contributes to the strength training stimulus. Medicine and Science in Sports and Exercise, 26(9), 1160-1164.